This is my only track to survive my hard drive crash. 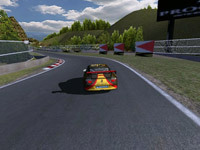 Unfortunately another artist released a similar version, so I'm canceling this project, at least for rFactor. Look for it on BeamNG.Drive! Here's a new scratch built version of the classic Gran Turismo track. I’m trying to recreate the first version, and adding in some elements from the GT3,4 versions too, plus a lot artistic license. So far I’ve modeled all the road sections of the track, the 3 tunnels, the pit area and roughed out some of the mountains and cliffs. No release date possible, but its progressing very nicely. This is not a conversion in any way from Play Station, and its all from examination and my imagination. There is nothing else way other than to reset your password. www.geico.com	After completion, from the home food selection open the application. Could I make a conversion of this mod to Assetto Corsa? Leo Play Card is not available at Google Play Store leoplaycard This set resolves all the barriers to delight in recreation of paid applications. you can quickly share images, videos, direct messages to pals	Instagram Currently adhere to the mounting procedure and also. without paying anything. So men currently we have actually	How to use GameCIH	the internet games, you might not be able to utilize this app. This seems much better than the GTR2 version. Please, release!